Sigler Road Ford - DAMN Riders - No rules, Just ride! South of Jefferson, MD. Short easy ford. A couple of shots from Sigler creek ford. 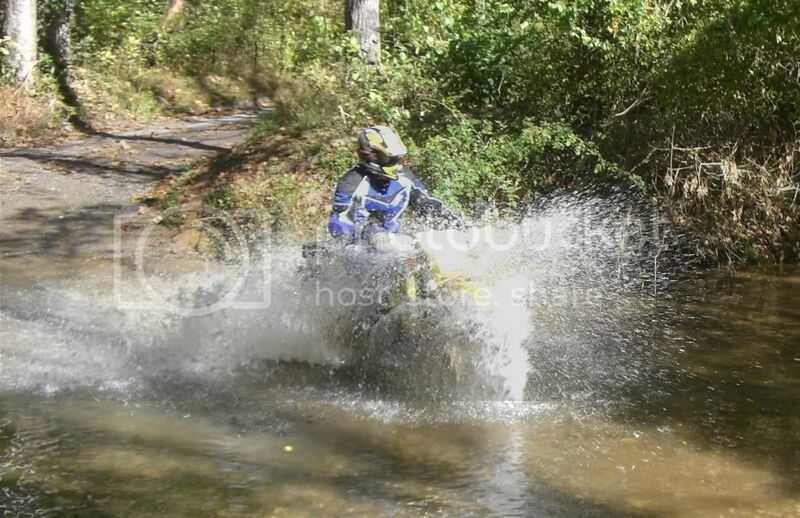 It's a nice little creek to splash around in. was a little chilly this past weekend and naturally we got soaked. that whole area has some really fun gravel roads to. Ha ha, you guys were blasting through making some big splashes! Looks like you were having fun. We most deff do! We actually camped in Cunningham state forest "belly up" . As in no tents, just lay down on the ground with sleeping bags. In addition to Silger creek we also hit the one in Gambrills park which was shallow and uneventful, Hence no pics of that one. 238Miles drive way to drive way. Would love to scout the area for more. 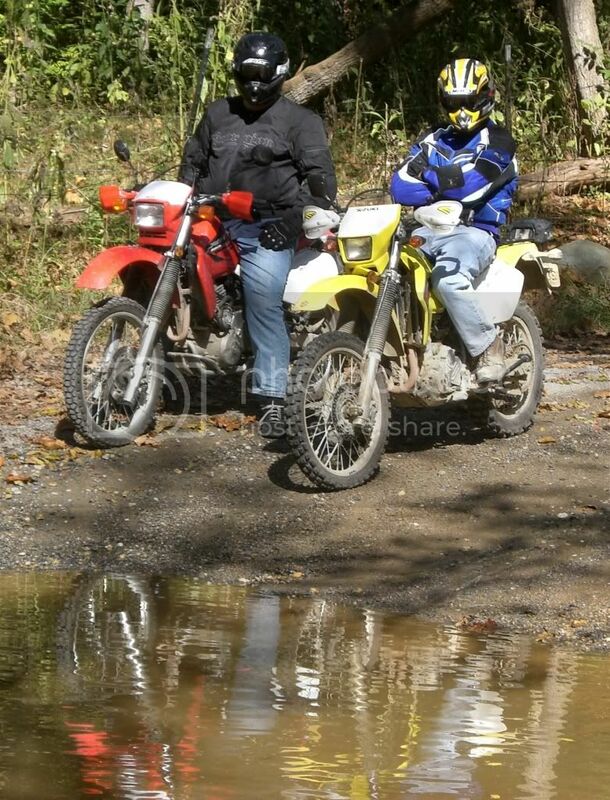 The next trip I'm planning is entitled "dualsport fishing"
mdubya has worn many a track through there. Good stuff. 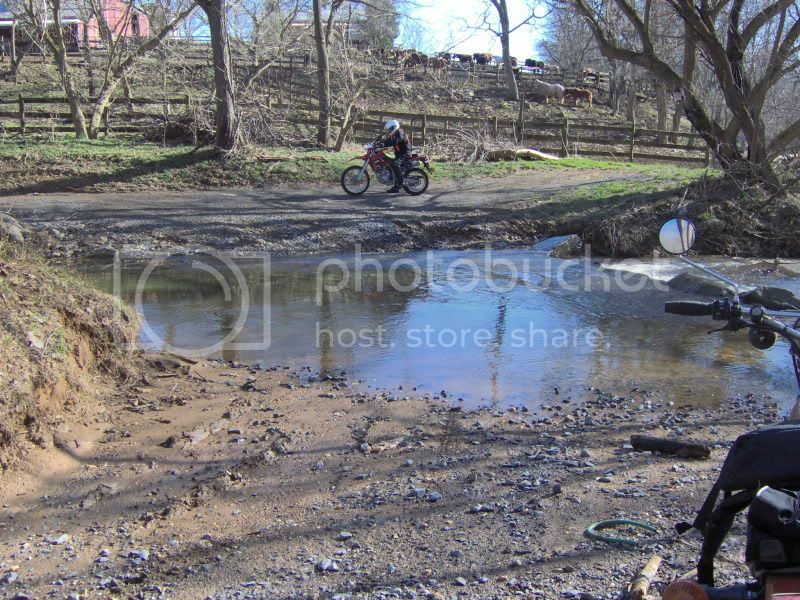 The creek looks unusually deep. Leo (ironpony) showing us youngsters how it's done, my crusty, trusty XT500 waiting it's turn. Easy crossing today. No so was Delauter Rd. in the Frederick Watershed - lots of erosion on the approaches, was about 2 x as wide as usual, flowing fast and (of course) much deeper. 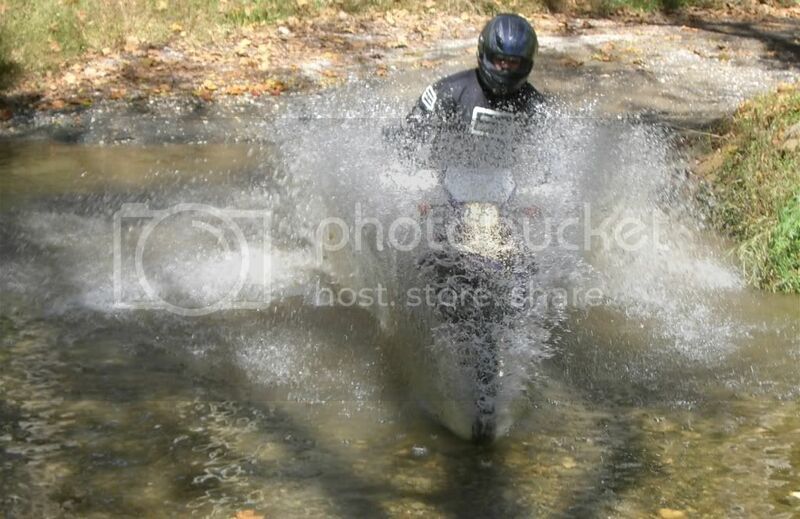 We decided not to cross in deference to our friend Joe on his F650GS (twin). A Jeep crossing it seemed to have a bit of trouble - stalled midway before finally crawling out. 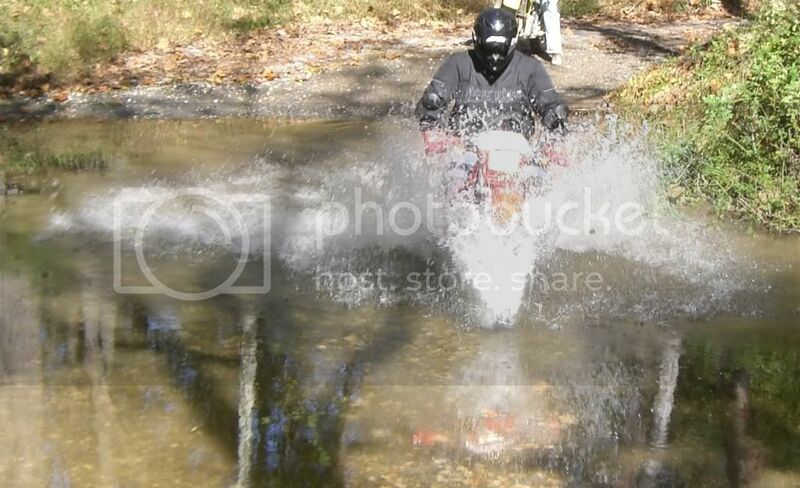 Wow - I was there around 5:30 - took the KTM out for a quick spin on its new shoes. It usually is an easy crossing.